There are many treatments for back pain and, when you are suffering from a backache, it can sometimes be confusing which treatment to choose. Severe back pain can be treated with a prescription from your doctor, and there are over-the-counter medications that may help, as well. However, your health care provider may recommend that you undergo surgery. A majority of people who suffer backaches and back pain can treat themselves with the many choices of self-treatment that promote healing that are available today. Acupuncture is an alternative treatment that has become a lot more accepted in recent years. Back pain is something that is sometimes hard to manage, and acupuncture has proven that it can manage back pain very effectively and is thus recommended to do so. The system of acupuncture works by stimulating energy points on your body. This is actually discovered and utilized in China thousands of years ago. The only drawback to this particular system is that it uses needles which are placed into your skin which many people cannot deal with. There is no pain involved, just a moderate tingling sensation as the needles are inserted. Most of the time, you can locate a qualified practitioner in your area that can help you. One of the more innovative ways to heal your own body is by using what is called the Alexander Technique which teaches you how to move in harmonious ways. By having proper posture, your spine will be straight and you will feel better. Back problems can actually be averted once you learn how to walk and stand in a more natural manner, something that the Alexander Technique shows you. Long-term health is important, especially when considering your spine and the way that you’re back will feel later on in life. More than likely, there is an Alexander Technique practitioner in your area. If there is not, you should be able to find one or at least watch some videos online. A lot of people haven’t heard of a great natural remedy called capsaicin cream. It’s one of the better creams for pain relief. If you have ever eaten chili peppers, than you have experienced capsaicin. It is the active ingredient that makes peppers hot. When this cream is applied to your back, you can feel the heat the same way you experience the hotness of chili peppers on your tongue when you eat a spicy food. The “burning” sensation you get when this cream is applied isn’t unpleasant, and it is this “heat” that helps relieve and heal your back pain. Since it might be unpleasant on your hands, make sure you wear disposable gloves when you use capsaicin cream. And don’t get it in your eyes. Capsaicin cream – which is a natural substance – can often bring you more relief than the topical creams from the pharmacy. You’ll find capsaicin cream is readily available online, at the drug store, pharmacy, or even a whole foods store. In order to get your back feeling better than ever, it will usually be a combination of a lifestyle change, a medical prescription, and visiting a physical therapist. Finding a treatment that works best for you may take a little bit of time, but through trial and error, you should be able to get back pain relief soon. So let’s see, you have an IM business, have been trying to use Lower back pain as much as possible but have not yet experience wild success. That is something we hear all the time. 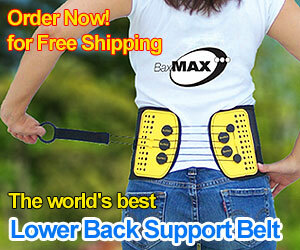 That is exactly why it pays to discover the real truth about Lower back pain and then learn how to use it, properly. A word about what you will find at treatment for spondylolisthesis; more in-depth information on this vital topic along with terrific supporting resources.